BREVARD COUNTY, Florida – The SeaWorld Orlando Animal Rescue Team rescued an injured manatee from the Indian River Lagoon in Port St. John, Fla., near the FPL power plant. The Florida Fish and Wildlife Conservation Commission (FWC) spotted the injured manatee last Wednesday (May 14) and had been monitoring it closely. FWC noticed that the manatee was not submerging under water and appeared to suffer from a watercraft hit. The manatee, which is believed to be eight feet in length and weigh almost 800 pounds, was transported by FWC to the Lowry Park Zoo in Tampa, for rehabilitation and care. 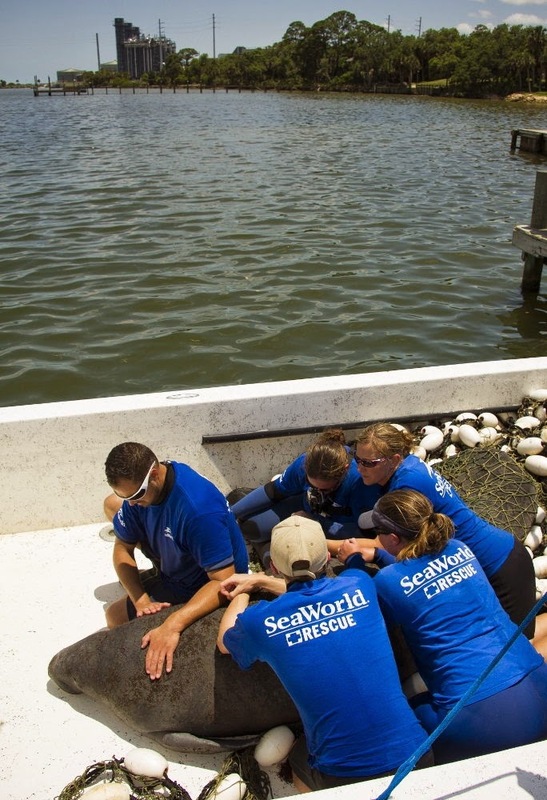 So far in 2014, SeaWorld Orlando has rescued six manatees and returned six. This is the 501st rescued manatee to be cared for at SeaWorld Orlando since the animal rescue program started in 1976.